I have to admit that O is one difficult alphabet to find a cocktail with. I really had to dig in deep in my list of favourite coktails! And the cocktail I could think of is one bourbon based cocktail. 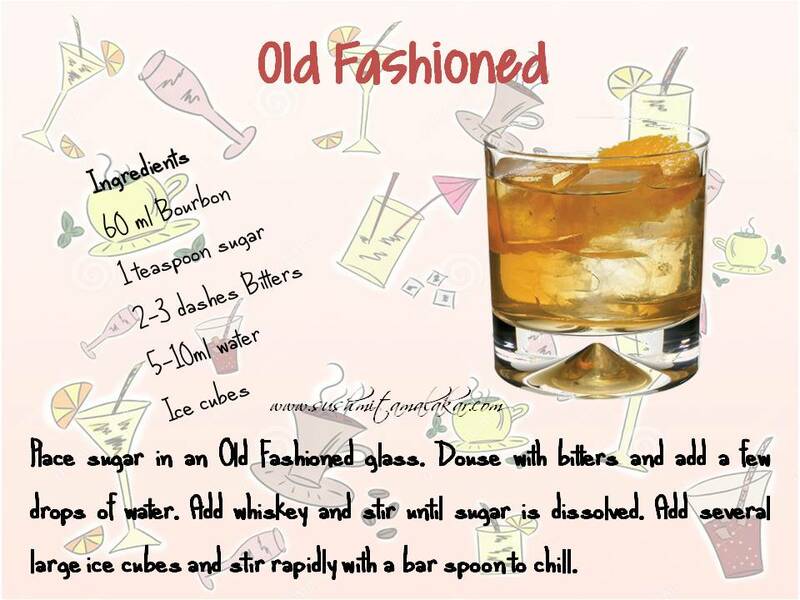 This is oldest of the old cocktails and just consists of two ingredients. Though I don't like my bourbon adulterated but this is one is for the times when the craving for "sweet drink" has to be dealt with. That means I am successful!